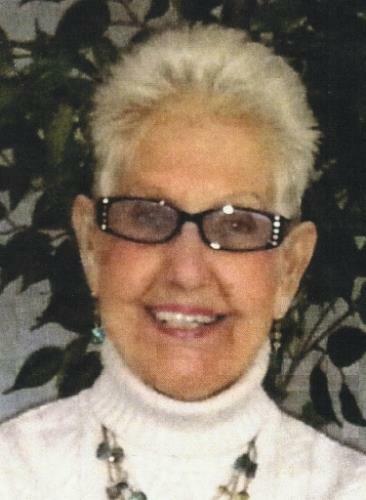 Bernice B. Croteau, 80, passed away Thursday surrounded by her loving family. She was born May 7, 1936 to the late Robert and Bernice Everett. Bernice was a longtime communicant of St. Catherine of Siena Church and was a member of the St. Catherine of Siena Women's Guild. She, along with her husband owned a concession truck and would drive around to area construction sites. She also was an Avon sale representative and was a bus driver for handicap students in the area. Bernice enjoyed arts and crafts. She also enjoyed needlepoint, knitting, crocheting. When her kids were young, she sewed all of their clothes. Bernice was a jack of all trades and loved working around the house. And she was a huge Tom Jones fan. She was predeceased by her husband Carl E. Croteau Sr., and three sons; Daniel T., Gregory G., and Michael F. Croteau. Bernice leaves her loving sons; Carl E., Jr and his wife Diane of Spfld., and Joseph A. and his wife Lucy of E. Long., her daughters; Jacqueline T. Fleury and her husband Patrick of W. Spfld., and Catherine B. Powers and her husband Thomas of Spfld., her daughter-in-law Cynthia Ward of Agawam, her 17 grandchildren and 20 great grandchildren, her brother Richard Everett of LA., and several nieces and nephews. She was also predeceased by her brother Robert Everett Jr., and sister Betty Laporte. A Liturgy of Christian Burial will be held TUESDAY 10 AM in St. Catherine of Siena Church, 1023 Parker St., Spfld. Burial will follow in Hillcrest Park Cemetery, 895 Parker St., Spfld. Calling Hours will be held MONDAY from 4 to 7 PM IN ST. CATHERINE OF SIENA CHURCH, 1023 Parker St., Spfld. The family would like to especially thank Bernice’s caregivers and companions; Rose Lopez, Carmen Cumba, Sherry Croteau, her granddaughter Danielle Powers, her daughter Jackie Fleury, her son-in-law Thomas Powers and daughter-in-law Cynthia Ward for the care and compassion they provided Bernice of the last six years. In lieu of flowers, memorial donations may be made to St. Jude Children’s Research Hospital, 501 St. Jude Place., Memphis, TN 38105-1942. THE SAMPSON’S CHAPEL OF THE ACRES FUNERAL HOME IS IN CHARGE OF THE ARRANGEMENTS. Deborah J. 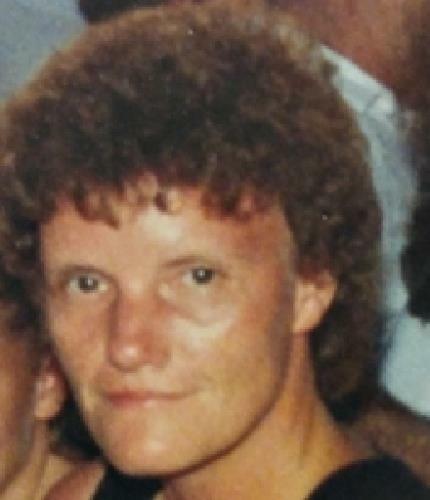 (McNulty) Martin, 60, passed away Oct. 26, 2016 surrounded by her loving family. Daughter of the late Raymond and Jean (Johnson) McNulty, she was a lifelong area resident and worked as a CNA. An outgoing person, she would talk to anyone and make you laugh with her sarcastic humor. Predeceased by her daughter Cynthia Martin, she leaves 2 daughters, Jennifer and Lisa Martin; 3 sisters, Susan McNulty, Patty Subjek and her husband Steven and Nancy Isham; 3 brothers, Michael and his wife Maria and Raymond McNulty and Thomas Arnold; 6 grandchildren who were her pride and joy, Aniesha, Anessa, Jemar Jr., Lewis Jr., Aneera and Ben; her special friends Cindy Whitney and Roger LePage and many nieces, nephews, other family members and friends. 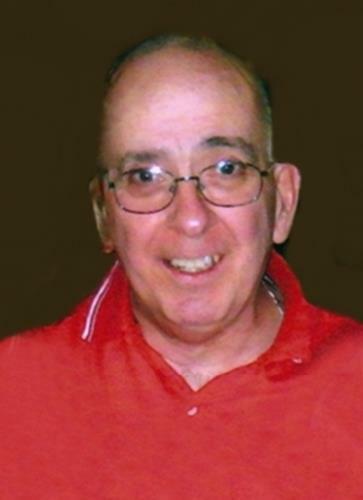 Calling hours will be Tues, Nov. 1st 9-11 a.m. at Nowak Funeral & Cremation Services and proceeding to St. Catherine of Siena Church for a funeral mass at 11:30 a.m. Further details at nowakfuneral.com. Rhea L. (Boisvert) Naylor, 94, of Springfield died Sunday, October 16, 2016 with her son at her side at home. Rhea, daughter of the late Sylvio and Lillian (Dubuc) Boisvert was born in Holyoke on January 31, 1922. She was a graduate of the High School of Commerce, Class of 1941. Rhea resided in Willimansett section of Chicopee, moving to Springfield in 1955. She resided in Springfield most of her life she was a communicant of St. Catherine of Siena Church. Rhea owned and operated CONCEPTS by Rhea as a Promotion-Fashion Specialist for area malls and was involved in many community and charitable events held in Western MA retiring in 1998. She was a crafter specializing in handcrafted baby items and gift packaging family made Sidehill Farm Vermont jam products. Rhea was a member of the USA Table Tennis Association and avid player for many years. Rhea “Rhea” known to her family and friends touched people in many ways with her wit and personality. She also had a true love for her feline pets. In addition to her parents she was predeceased by her husband Ralph W. Naylor in 2015, a sister, Doris “Dee” O’Connell, and a sister-in-law, Frances Boisvert. Rhea is survived by a son, Mark W. Naylor of Manchester, NH; a brother, Sylvio Boisvert of Springfield; a cousin Rev. Father Donald Noiseux; along with many nieces, nephews, grandnieces and grandnephews and her many special friends. Family and friends are asked to meet on Friday, October 28, 2016 at St. Catherine of Siena Church, 1023 Parker Street, Springfield to Celebrate the Liturgy of Christian Burial for Rhea at 11:30 am. Rites of Committal and Interment will follow in the Chapel of the Massachusetts Veterans Memorial Cemetery, 1390 Main Street, Agawam. In lieu of flower memorial contributions in Rhea’s memory may be made to Mercy Hospice 2112 Riverdale Road, Suite 3, West Springfield, MA 01089 and or to the , 20 Speen Street, Framingham, MA 01701. There are no visiting hours and Sampson Family Chapels are entrusted with the arrangements. 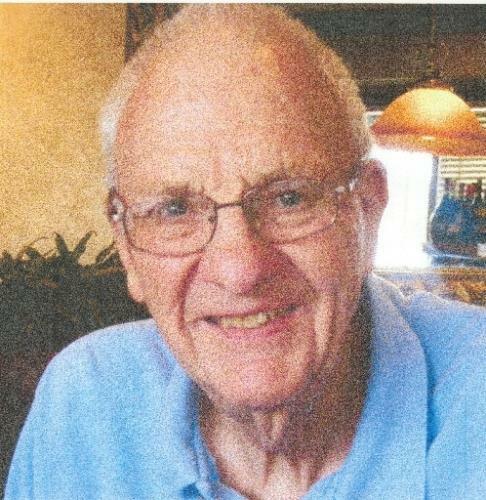 Obituary for Albert O. St. Onge Jr.
Albert O. St. Onge, 75, was called safely home on Monday, October 24. He was born in Ludlow to the late Albert St. Onge Sr. and Rita (Fournier) St. Onge. Albert attended St. Aloysius School and graduated from Cathedral High School with the class of 1958. He received his honorable discharge from the US Air Force on May 17, 1963. Albert was married for 43 years to Ethel (Goodrich) St. Onge. He worked for 25 years as a Mail Handler with the USPS at the bulk mail center in Springfield. Albert was an avid bowler. He leaves to cherish his memory his wife Ethel St. Onge, three daughters; Karin Berger of Westfield, Kate Forest and her husband Robert of Wilbraham, Kellie Mucha and her husband Robert of Southwick, his sister; Sr. Rita St. Onge of Worcester; Brother-in-Law Richard J. MacGregor of Chicopee; five grandchildren; Michael Forest, Callen Forest, Mikayla Mucha, Mikenzie Mucha and Kayleigh Berger, and many nieces and nephews. Albert’s family would like to thank the Holyoke Soldiers’ Home for the loving care and fellowship they shared with Al for the past 3 years. Family and friends are invited to calling hours on Thursday, October 27, 2016 at the Tylunas Funeral Home, 159 Broadway, Chicopee, MA from 4pm-7pm. A Mass of Christian burial will begin at 10 AM on Friday, October 28, 2016 at the St. Catherine of Siena Church, 1023 Parker Street, Springfield. Albert will be buried at the Massachusetts Veterans’ Cemetery in Agawam with full military honors at 2pm. In lieu of flowers, memorial contributions in Albert’s memory can be made to the Sisters of the Assumption Retirement Fund, 316 Lincoln Street, Worcester, MA 01605. For additional information or to view Albert’s Tribute page please visit www.tylunasfuneralhome.com. GREENFIELD - On June 25, 2015 the angels came down from Heaven and took our beautiful daughter home. Krissy was born in Springfield, MA on July 15, 1983 to the late Eric H. Kukla of Chicopee and Kathleen Schroeder of VT. She was raised in Northfield and Chicopee. A 2001 graduate of Northfield Mt. Hermon School, she furthered her education at Holyoke Community College. In 2014 she graduated the Clemente Course in Humanities through Bard College, an achievement she was so very proud of. Krissy had the love of reading and drawing. Her writings were just beautiful. She had a way with words.Krissy leaves behind her beautiful daughter Aliyah Skye Soulia of Northfield, MA, the love of her life and fiance Augustin (AJ) Colon of Springfield, MA, her mother Kathleen Schroeder and her husband William Schroeder of Guilford, VT, her stepfather Steven J. Chapman who helped raise her and his wife, Marilyn of Erving, MA, her grandparents Richard and Joan Slavin of Springfield, MA, and uncle Thomas Slavin of Boston. She also leaves her grandmother, Claire Kukla, wife of the late Stanley Kukla of Chicopee, MA, and John and Joan Wieslander of Worcester, MA. She will be greatly missed by her godmother, Alice Polastry (Auntie) and her family of Windsor Locks, CT. Krissy leaves numerous stepbrothers, stepsisters, aunts, uncles, cousins, and friends from all over the states of MA, CT, and VT.
A Memorial service will be held at Northfield Mt. Hermon school's Memorial Chapel, date still to be determined. Kenney-Luddy Funeral Home and Crematory of New Britain, CT are in charge of crematory arrangements. There will be no calling hours. The family would like to thank the doctors and nursing staff in the ICU unit at Baystate Memorial Center for their care and compassion for Krystyna. A special thank you to our dear friend Ann Zaveruha of Leyden, MA for Krissy's peaceful transition from this world. In lieu of flowers, a Memorial Fund has been established at Greenfield Cooperative Bank for her daughter Aliyah's education. Please make donations payable to Memorial Fund of Krystyna Kukla-Soulia, in care of Greenfield Cooperative Bank, 63 Federal Street, Greenfield, MA 01301. Pamela Ann (Motyka) Sacadura, 51, passed away on Thursday, October 6, 2016 at home. Born in Springfield, MA on October 27, 1964, she was the daughter of Mary L. (Moynahan) Young and the late Leonard Motyka. Pam grew up in Massachusetts and moved to New York with her husband to start a family. For many years she worked in the dry cleaning field. She took on the role of being a stay at home mother, which she absolutely loved. She always put her children's needs above her own and never missed any event or school function they had. In her free time she enjoyed gardening and loved watching The Voice and any cooking shows on TV. Besides her father, she was predeceased by her son, Daniel Sacadura. She leaves behind to cherish her memory her devoted husband Anthony "Tony" Sacadura, her children Nicholas and Alyssa Sacadura, her mother Mary L. Young, her siblings Christine, Shari, Julie and Steven, her mother and father-in-law John and Betty O`Neill, and brother and sister-in-law's Alan, Victoria, Heather and Kevin, and many cherished friends. Funeral services will be held on Saturday, October 15, 2016 with family and friends meeting at 10:00 a.m. at Nowak Funeral & Cremation Services, 15 Ludlow Ave., Springfield and proceeding to St. Michael’s Cemetery, 1601 State St., Springfield for interment at 11:00 a.m. Calling hours are Friday, October 14, 2016, from 4:00 p.m. until 7:00 p.m.